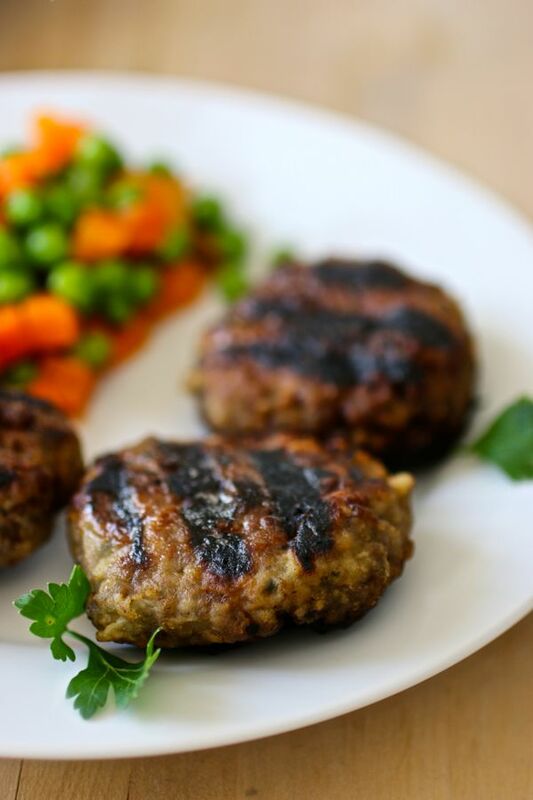 Australian rissoles are beef patties that can be pan-fried or barbecued. They are also popular in New Zealand. A rissole, from the Latin russeolus meaning “reddish”, is a small patty covered with dough or breadcrumbs and usually fried or baked. 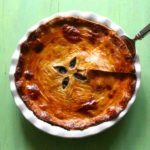 It is filled with sweet or savory ingredients, meat or fish. Today’s Australian version contains no dough. Understanding what rissoles mean and how they look depends entirely on where you eat them around the world. In France, rissoles are a dessert made of baked pears, that are breaded and fried. 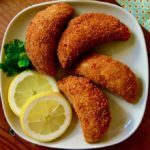 In Portugal, rissóis are usually stuffed with cod, minced meat, shrimp (rissóis de camarão) or, less frequently, chicken (rissóis de frango), or a combination of cheese and ham. Rissoles are also popular in Brazil, where they are better known as risoles. 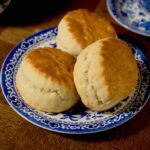 They are usually stuffed with sweet corn, cheese or chicken. They are prepared with meat, ham and cheese or chicken and are called sznycle in Poland. Rissoles are a popular appetizer in Indonesia, where they are also called risoles. Over there, they are filled with vermicelli and eaten with soy sauce, chili sauce or sliced Thai chili pepper. 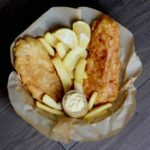 The rissole is also a popular fried snack in the south of Ireland, especially in the County of Wexford, where it is prepared with cooked potatoes mixed with herbs and local spices, breaded. 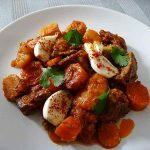 It is served with fried potatoes, chicken or breaded sausages. Rissoles can also be found in South Wales and North East England, where rissoles & fries are a very popular meal. 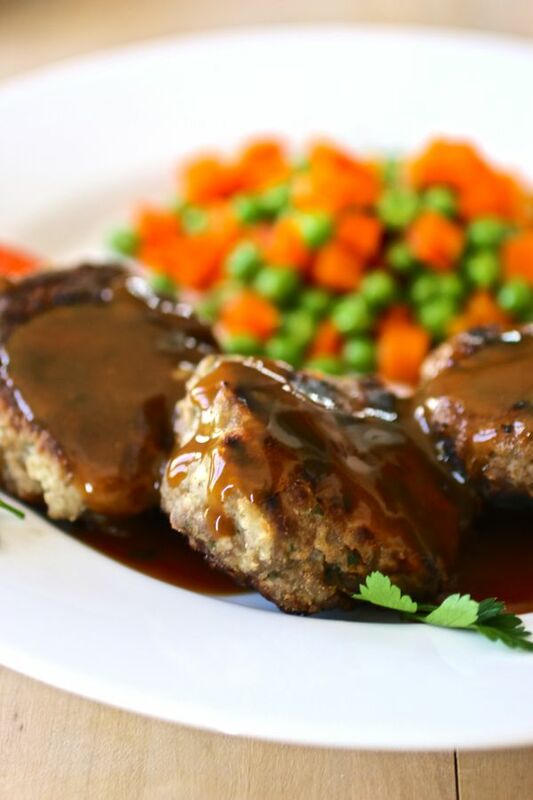 These rissoles are usually meat (beef) mixed with potatoes, herbs and onions. They are covered with breadcrumbs. Australia is the largest country in the ocean continent, surrounded by the Indian Ocean and the Pacific Ocean. It consists of the main island, Tasmania and other smaller islands such as Norfolk or Christmas Island. Australians love their 3 B’s: Beer, Barbecue and Beaches. In any season, and especially in the summer, barbecue is one of the favorite activities of Australians. BBQ enthusiasts can’t wait for the next sunny weekend to call their friends, buy a huge bag of charcoal and choose the perfect venue for the event. Thus, if you go to Australia, you can not end your trip without having organized at least one barbie. The barbecue is considered a central part of life in Australia and even the government has recognized its importance. That’s why there are cleverly designed areas for barbies in many campsites, national parks, beaches and rest areas. Australia also has one of the best meat and seafood productions in the world, helping to make the barbecue even more enjoyable. Indeed, in Australia, there is a cult of meat, whose production plays an important role in the economy. Barbecue is almost a ritual and the most popular types of meat are beef and mutton, alongside kangaroo and crocodile. 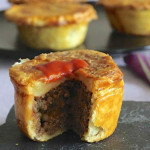 Meat is also the main ingredient in many savory pies such as the famous Australian meat pie. Australian cuisine is a combination of influences from local indigenous people and those of people who have colonized the land over the centuries, such as the Anglo-Saxon tradition. Many dishes are made with fish and small crustaceans, especially in areas facing the sea. To confirm their commitment to local ingredients, Australian dishes include many spices such as basil and Tasmanian pepper. Most fresh fruits consumed in Australia are native and often unknown elsewhere. Some examples include quandong, gubinge and riberry, a bright pink berry with a delicate taste. 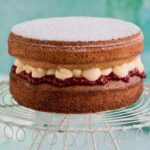 The most popular traditional desserts are lamington and pavlova. The first are small pieces of sponge cakes covered with chocolate icing and shredded coconut. The pavlova is a preparation with meringue, whipped cream and fresh fruits. Also worthy of mention are ANZAC biscuits made from oatmeal, flour, coconut and sugar, named after the Australian and New Zealand armed forces (ANZAC), who consumed them in large quantities during World War I. A food that is a real national icon is Vegemite, a spread made from yeast extract and spices, which is an alternative to jam. Australia has inherited from the British the tradition of drinking tea, of which there are many types and variants. Production is mainly concentrated in Queensland and New South Wales. 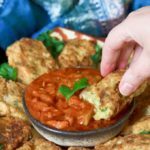 These Australian rissoles are reminiscent of keftas, the meat croquettes that are widespread in Arab countries, and that we featured on the post about Pakistani koftas. They are also reminiscent of their close cousins, Romanian chifteles. 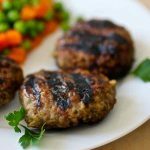 These Aussie meat patties are very easy to prepare. 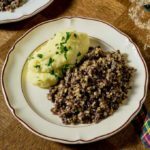 I served them with traditional peas and carrots, a side dish probably borrowed from the British traditions. These Australian rissoles can also be served with mashed potato. 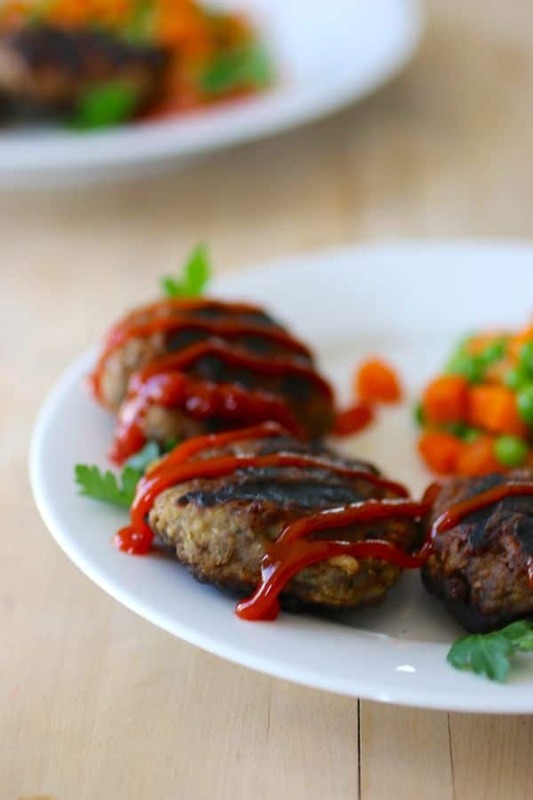 Australian rissoles are meat patties that are grilled on the BBQ. 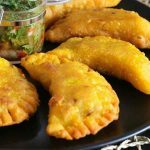 Depending on the recipe, these patties can include grated vegetables. Mix all the ingredients together with the exception of the flour. Shape into balls and flatten slightly. Rissoles should be about 2 inches in diameter for a main course, smaller if they are served as appetizers. Put the flour in a bag, then add 2 rissoles at a time. Stir gently until rissoles are covered with flour. 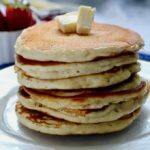 Shake off excess flour before cooking. Cook on a grill or barbecue for about 8 to 10 minutes on each side. These look delicious Mike. Simple and near to something I grew up eating and I am not from Australia. Yum! These look fabulous and perfectly presented with the peas & carrots – what a beautiful dish! 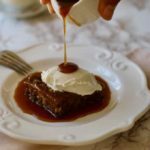 Interesting story and looks like a great recipe, so pretty! I’m from Australia and grew up with rissoles as a regular meal, except my family called them ‘patties’. I continue to make them regularly because my Dutch husband loves them!